Large chartreuse tone, faceted lemon quartz brios 20mm x 15mm. 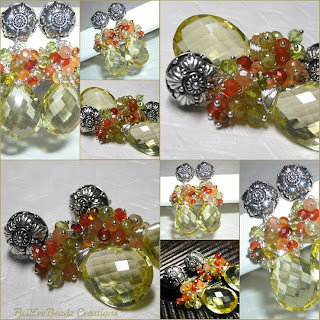 Like clusters of lantana flowers - a posy of faceted citrine, carnellian, peridot, hessonite,peach moonstone and beautiful sterling silver ear studs. Drop of 4cm.